There are over 100,000 farms in this country, but many are not in a position to rely solely on agricultural income and have diversified into other activities to create additional revenue streams from the farm. Aside from renewable energy, the renting of farm buildings for commercial use is probably the most popular kind of diversification (about a third of farms let farm buildings in some way). This can be an extremely profitable source of additional revenue. But there are potential pitfalls for the unwary. Farmers may be well-used to renting land in the agricultural sector, but renting out farm buildings raises new challenges. 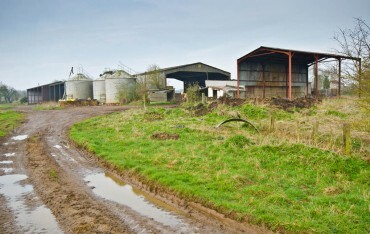 Planning permission may be required for the commercial use, and the arrangements need to be vetted carefully to make sure they will not affect grants or entitlements held with the farm. However, probably the most commonly overlooked issue is ensuring that the occupier does not obtain protected business tenants rights. Farm buildings let for non-agricultural “business” – for light industry or even open land let for storage – can fall into this category. If the statutory protection applies, a farm owner can be left tied to arrangements well beyond the original agreement. In some cases compensation has to be paid if the owner wants to take back use of the buildings. The first point is that such rights do not depend upon any written agreement. If an owner allows someone to use a farm building and accepts rent in return a protected tenancy can arise. Secondly, the real nature of the arrangement needs to be considered. The parties may think the arrangements are temporary. They may have an agreement which states the occupier is only a temporary “licensee” and that payments will be a “licence fee” rather than rent. However, labels are irrelevant as far as the law is concerned. If the reality is that the occupier has exclusive use of the building then a tenancy can exist (even though the occupier has signed something calling the arrangement a licence). If that use is for business purposes then the occupier will almost certainly be protected unless the correct process for excluding the statutory rights is followed before the arrangements start. First, always make sure that you have a written agreement which clearly sets out the obligations and responsibilities of the parties. Don’t rely on a “hand shake” where there is always scope for misunderstandings and disputes. Second, make sure the agreement allows for the real nature of the arrangement. Don’t rely on “labelling” the arrangement something which it is not. The law will not back you up and your cheque book may suffer as a result! Third, make sure you take proper professional advice about the terms of the agreement and to ensure that the correct procedures are followed to make sure that the occupier does not acquire protected rights. The procedures are straightforward and timely advice about them can avoid considerable (and costly) problems later on. Finally (and most importantly) get the paperwork right but do not give the tenant the key until he has signed everything. For more information on renting out farm buildings and other Agriculture and Commercial Property matters, Stephen Firmin can be contacted on 01206 217023 or by email on stephen.firmin@tsplegal.com.